Photo: Flickr Designed by a climber, K2 captures all of the danger, excitement, risk, and reward of daring to best nature. You control two mountaineers as they attempt to climb (rest, survey, plan, plan, and plan...) their way into history. 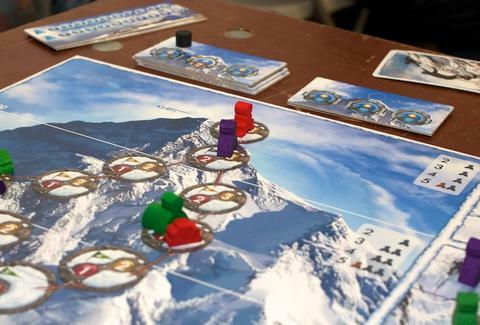 The rules are simple: go up the mountain with movement cards, adjust to the climate with acclimatization cards, don’t die. But by the time you reach 7,000 feet, the game becomes a series of dwindling options, tough decisions, and bold choices. Don't choke.